Next exhibition: Alice Lin | Muah! The Revealed Exhibition features works by more than 75 of the best new and emerging WA Aboriginal artists from all over the state, showcasing the diverse and vibrant state of contemporary Aboriginal art. Featuring paintings, prints, wood carvings, photography, textiles, video, weaving and more, this enticing and sometimes surprising exhibition presents the work of artists from extremely remote areas alongside those from regional towns and metropolitan Perth. 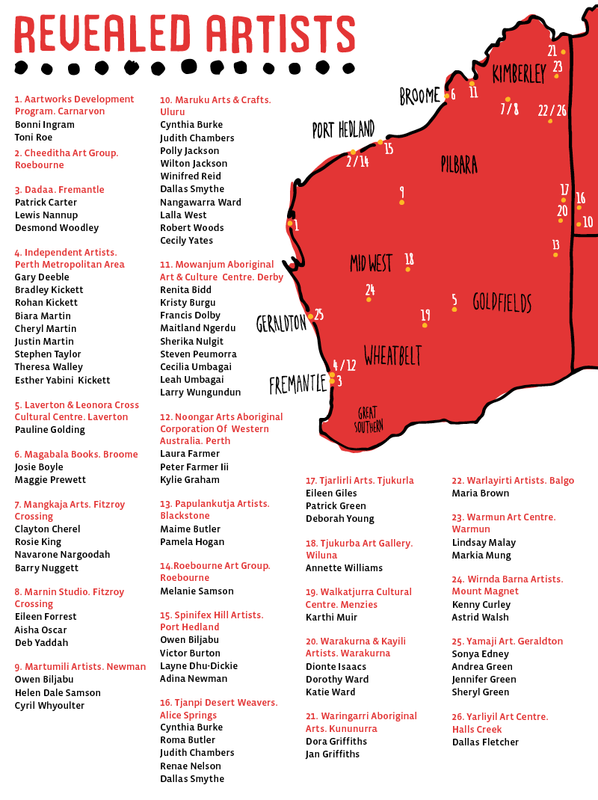 Revealed is an initiative of the WA State Government through the Department of Culture and the Arts; and the Australian Government through the Indigenous Visual Arts Industry Support program.